I have a PhD in English from the Univ. of Kansas, taught American literature and literary theory at Truman State Univ. and Franklin & Marshall Coll., and now work for the Modern Language Association where I assist English departments to make their programs as strong as possible. PhD, MA, Univ. of Kansas; BA, Truman State Univ. Published Articles“Numbers and Passion.” Profession. MLA Commons. 2013. Web.“Academic Freedom: Norms, Methods, Contestations.” ADFL Bulletin 41.3 (2011): 33–36.“Taking Liberties: Academic Freedom and the Humanities.” ADE Bulletin 141-142 (2007). 55–69. Reprinted in Profession 2008 (2008): 146–71.“The Status of African American Faculty Members in English.” ADE Bulletin 140 (2006): 32–34. “Review of Scholarship on the Status of African American Faculty Members in English.” ADE Bulletin 140 (2006): 45–60. “The Foreign Language Requirement in English Doctoral Programs.” ADE Bulletin 138-139 (2005–06): 64–72. Reprinted in Profession 2006 (2006): 203–18. “The Case for Legal Reasoning.” ADE Bulletin 137 (2005): 77–80.“The Master’s Degree in the Modern Languages since 1966.” ADE Bulletin 136 (2004): 50–68. Reprinted in ADFL Bulletin 36.1 (2004): 61–80 and in Profession 2004 (2004): 154–77.“Working Toward Equality.” Academe 89.4 (2003): 29–33.“The Illusions of Phallic Agency: Invisible Man, Totem and Taboo, and the Santa Claus Surprise.” Callaloo: A Journal of African Diaspora Arts & Letters 26.2 (2003): 522–35.“Saint’s Progeny: Assotto Saint, Gay Black Poets, and Poetic Agency in the Field of the Queer Symbolic.” African American Review 33.3 (1999): 507–18.“Anti-Oedipalizing Great Expectations: Masochism, Subjectivity, Capitalism.” Literature and Psychology: A Journal of Psychoanalytic and Cultural Criticism 45.3 (1999): 29–50.Data Reports“Report on the Survey of Earned Doctorates, 2012–13 .” Modern Language Association of America. Jan. 2016. Web.“Data on Second Majors in Language and Literature, 2001–13.” Modern Language Association of America. Feb. 2015. Web. “Report on the Survey of Earned Doctorates, 2010–11 and 2011–12.” Modern Language Association of America. June 2014. Web.“Report on the Survey of Earned Doctorates, 2009–10.” Modern Language Association of America. April 2012. Web.“Data on Second Majors in Language and Literature, 2001–08.” Modern Language Association of America. Ocober 2010. Web.“Debt Levels of 2008 Doctorate Recipients in the Humanities.” Modern Language Association of America. June 2010. 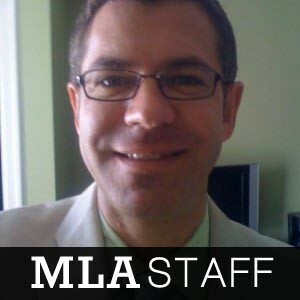 Web.“Report on the Survey of Earned Doctorates, 2007–08.” Modern Language Association of America. May 2010. Web.“Data on Humanities Doctorate Recipients and Faculty Members by Race and Ethnicity.” Modern Language Association of America. April 2010. Web.“Report on the Survey of Earned Doctorates, 2006.” ADE Bulletin 145 (2008): 73–80.“Report on the Survey of Earned Doctorates, 2005.” ADE Bulletin 143 (2007): 43–­­50.“Placement Outcomes for Modern Language PhDs: Findings from the MLA’s 2003–04 Survey of PhD Placement.” ADE Bulletin 141-142 (2007). 75–102.“Report on Data from the 2004–05 MLA Guide to Doctoral Programs in English and Other Modern Languages.” ADE Bulletin 140 (2006): 61–79.“Report on the Survey of Earned Doctorates, 2004.” ADE Bulletin 140 (2006): 80–87.“Placement Outcomes for Modern Language PhDs: Findings from the MLA’s Surveys of PhD Placement.” Coauthored with David Laurence. ADE Bulletin 138-139 (2005–06): 103–22.“Report on Data from the Guide to Doctoral Programs in English and Other Modern Languages: English Departments.” ADE Bulletin 137 (2005): 81–88.